Hamburg (renewablepress) - The Nordex Group's new business with its latest turbine, the N149/4.0-4.5 for medium and light-wind sites, continues to boom. 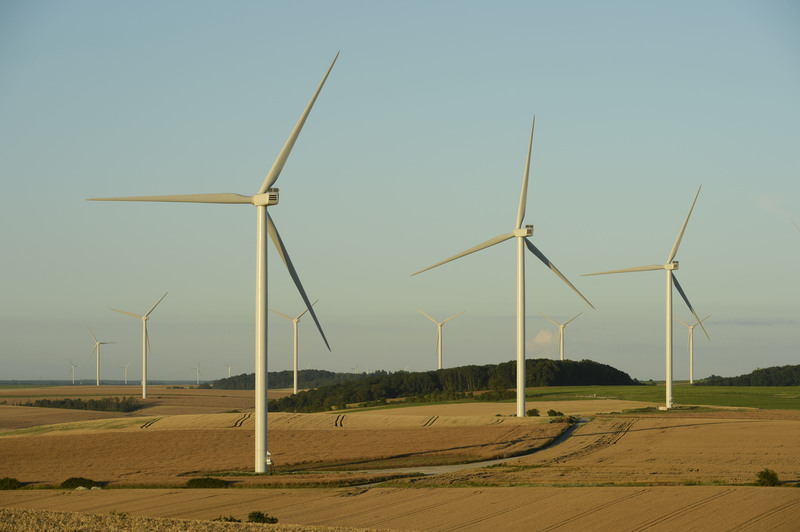 The manufacturer has been awarded a contract to supply and install 35 wind turbines for the Mortlake South Wind Farm project located in the state of Victoria in the south-east of Australia for its customer Acciona Energy Australia. The order was placed in the first quarter of 2019. "In addition to our successful sales in Europe, we are now increasingly meeting with significant interest in the N149 turbine in other international sales regions, like recently in Argentina and now in Australia. This order is yet another indication of the confidence placed in our state-of-the-art technology," says Patxi Landa, Chief Sales Officer of Nordex Group. In September 2018, Mortlake South Wind Farm was successful in the Victorian VRET (Victorian Renewable Energy Targets) auction process. The Mortlake South Wind Farm, will use turbines with a capacity of 4.5 MW each. Infrastructure works have already commenced and the completion of the wind farm is expected in mid-2020. The N149/4.0-4.5 is ideal for this site, which is located some 6 kilometres from the town of Mortlake and has average annual wind speeds of 7.7 metres a second. Thanks to its grid compatibility, it can be perfectly adapted to the individual grid connection requirements of the Australian market. The N149/4.0-4.5 has been designed to meet the grid requirements of the most demanding grid connection directives worldwide - a key criterion for choosing this turbine for Mortlake South. The expected volume of electricity to be produced by the wind farm equates to the annual consumption of some 115,000 households and is equivalent to a saving of 532,000 tons of toxic CO2 per annum. After the Gunning, Waubra and Mt Gellibrand projects, all of which use turbines from the AW platform, Mortlake South is the first order from Acciona Energy Australia with turbines from the Delta4000 generation. The Nordex Group has installed 370 MW in Australia and has had a branch in Melbourne since July 2017. The Group has installed more than 25 GW of wind energy capacity in over 40 markets and in 2018 generated revenues of around EUR 2.5 billion. The company currently has more than 5,500 employees. The joint manufacturing capacity includes factories in Germany, Spain, Brazil, the United States, India and in the near future Argentina and Mexico. The product portfolio is focused on onshore turbines in the 2.4 to 5 MW class, which are tailor-made for the market requirements in countries with limited space and regions with limited grid capacity. Publication and Reprint free of charge; please send a voucher copy to Nordex SE. Please note: The publisher of this press release »Nordex SE« is responsible for the content.